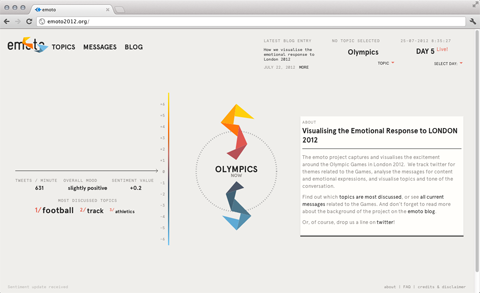 We just finished the documentation for emoto – a data art project visualising the online response to the Olympics London 2012. 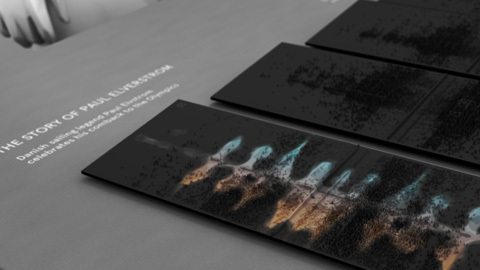 In many ways, the crowning piece of the project, and a conceptual counterpoint to the ephemeral web activities, our data sculpture preserved the more than 12 million tweets we collected in physical form. We had 17 plates CNC-milled — one for each day of the games — with a relief heatmap indicating the emotional highs and lows of each day. 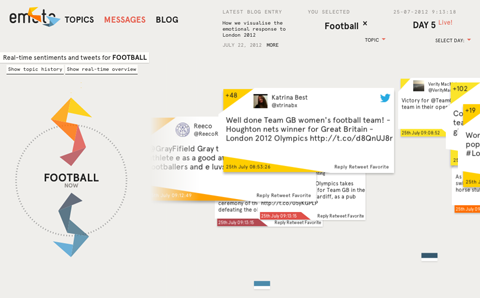 Overlay projections highlighted individual stories, and visitors could scroll through the most retweeted tweets per hour for each story using a control knob. 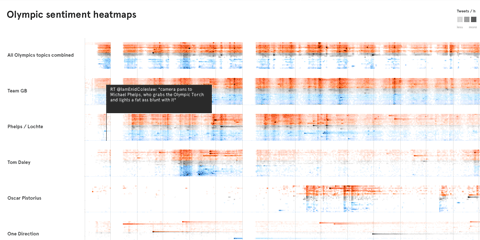 The tweets and topics displayed in the installation can also be investigated in interactive heatmaps. Rollover the rows to see a tooltip display of the most retweeted tweet on the given topic at the respective point in time. Thanks so much to my fantastic collaborators at Studio NAND, and Drew Hemment and the team at and around Future Everything and everyone involved!